A new Hybrid Cerebrovascular Operating Suite at Zale Lipshy University Hospital in Dallas has been established by UT Southwestern Medical Center and combines first-tier surgical innovations with advanced imaging capabilities for surgeries related to stroke and brain aneurysms. The new facility’s design integrates high-resolution imaging equipment intended for endovascular neurosurgical procedures with a state-of-the-art operating theater. Surgical patients in many hospitals must to be transported from room to room to benefit from endovascular technology, but UT Southwestern neurosurgeons will now be able to integrate surgical and endovascular techniques in one location. “We now have a rare opportunity to easily execute endovascular and surgical procedures on the most complex of neurosurgical cases. It just makes us safer and better, explains Dr. Hunt Batjer, UT Southwestern’s Chairman of Neurological Surgery and Co-Director of the Texas Institute for Brain Injury and Repair, in a release. Dr. Batjer is also current holder of the Lois C. A. and Darwin E. Smith Distinguished Chair in Neurological Surgery. Common diagnoses to be heretofore managed in this new surgical theatre include brain aneurysms, arteriovenous malformations (AVMs) and fistulas (AVFs) or carotid artery disease. The new surgical suite at Zale Lipshy University Hospital was designed under the direction of Babu G. Welch, M.D., Associate Professor of Neurological Surgery and Radiology, in collaboration with Toshiba Corporation of Tokyo, Japan. Dr. Welch also serves as Medical Director of the UT Southwestern Neurosurgery Ambulatory Clinic and Co-Director of the Paul M. Bass Center for Neurosurgical Innovation. In addition, he is the Director of the UT Southwestern Microvascular Laboratory, where he instructs neurosurgery residents on approaches to skull base treatments and microvascular techniques. He has been at the forefront in the use of endovascular surgery for treatment of stroke, and says endovascular neurosurgeons can effectively open vessels in the neck and brain to restore blood flow within minutes, with access through the artery in the leg. 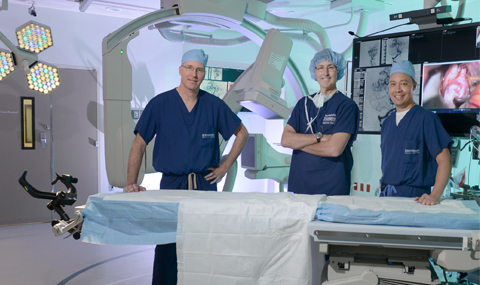 [adrotate group=”15″] “The hybrid suite continues a tradition of innovation in neurosurgery at UT Southwestern,” says Dr. Welch, a scientist in the vanguard of the use of endovascular surgery in treating cerebrovascular disease. Toshiba chose UT Southwestern for installation of their first hybrid suite because of the central location and the TExas facility’s sterling international reputation for advanced cerebrovascular care. Dr. Welch combines expertise in neurosurgical innovation and advanced technology for treatment of patients presenting with life-threatening issues that affect blood vessels in the neck and brain. He is able to offer a wide range of treatment options, with selection that can be tailored to both the pathological process and the patient’s lifestyle. Cerebrovascular disorders can range from straightforward to highly complex, and include aneurysms, stroke, dural arteriovenous fistulae (DAVF), carotid disease, and arteriorvenous malformations (AVM). As a leader in state-of-the-art microsurgical techniques, Dr. Welch is committed to offering patients options that minimize brain disruption and reduce recovery time. This approach includes evolving treatments like endovascular neurosurgery (also known as interventional neuroradiology). Many lesions can also be treated from inside of the brain using detachable coils or newer flow diversion devices, glues designed for the blood vessel. Because of UT Southwestern’s depth of experience with there newer neurosurgical and endovascular procedures (the school has produced six Nobel Prize laureates since 1985), surgery options considered complex by many neurosurgeons are performed on a more routine basis than they are at than other North Texas hospitals. For example, while craniotomies (surgeries involving opening of the skull) are still an effective way to treat brain aneurysms, Dr. Welch observes that they are no longer the only viable approach, and less invasive surgeries can in many instances achieve similar or better outcomes, depending on the patient’s needs and medical history. In another instance, Dr. Welch recommended endovascular coil embolization to a patient with a life-threatening 8 mm aneurysm pressing against her optic nerve. He used a catheter placed through the patient’s groin and then from her aorta into her brain. The aneurysm was successfully packed with very fine platinum coils, and a metal stent inserted to hold the coils in place. The patient was released from UT Southwestern one day after her surgery and was able to resume everyday tasks within a week. By contrast to this a minimally invasive approach, a conventional craniotomy would’ve resulted in a hospital stay of at least three days, and a four-to-six week recovery period. 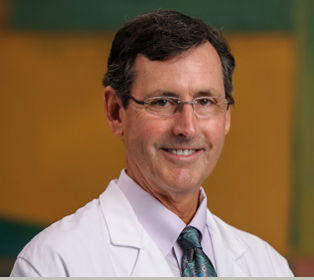 As part of UT Southwestern Neurosurgery’s internationally recognized team of physicians, Dr. Welch strongly advocates a multidisciplinary approach to care, observing that patients benefit from having neurosurgeons, neurologists, neuroradiologists, and other health care professionals focused on complete care and the establishment of optimal treatment plans. The collaboration extends to physicians referring patients to UT Southwestern who are kept abreast of the patient’s evaluation, treatment, and progress — all key to long-term success, Dr. Welch observes. 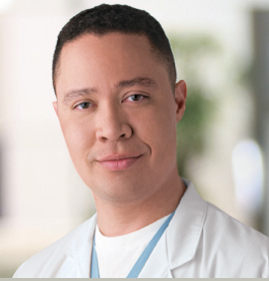 Hunt Batjer, M.D., is an internationally recognized cerebrovascular surgeon specializing in ischemic and hemorrhagic stroke states, as well as an authority on brain injury. As Chair of UT Southwestern’s Department of Neurological Surgery, he leads the largest group of neurosurgeons in North Texas a team at the forefront of breakthroughs to treat conditions and injuries that affect the brain and spine. Dr. Batjer has dedicated his career to defining state-of-the-art neurosurgical innovations and training the next generation of surgeons. He combines operating room expertise with highly personalized support for each patient and willingness to advocate for medical progress. Examples include activities such as testimony to the Unites States Congress on the future of medical manpower and serving as the Co-Chair of the National Football League (NFL) Head, Neck, and Spine Committee. He is also currently President of the American Association of Neurological Surgeons, an international scientific and educational association with a global membership of 9,000 neurosurgeons, and has served in leadership positions in many other national organizations including as Immediate Past President of the Society of Neurological Surgeons, as well as past roles as President of the Congress of Neurological Surgeons, the Society of University Neurosurgeons, Neurosurgical Society of America, as well as Chair of the American Board of Neurological Surgery and Chair of the Residency Review Committee for Neurological Surgery under the ACGME. The $3 million transformation of the operating room is an element of continuing efforts at Zale Lipshy University Hospital to maintain its standing as one of the finest cerebrovascular centers in the world. The hospital is transitioning toward becoming North Texas’s first dedicated, freestanding neuroscience facility, and UT Southwestern is the only North Texas facility certified as an Advanced Comprehensive Stroke Center by The Joint Commission and the American Heart Association(AHA)/American Stroke Association(ASA). Specialties at Zale Lipshy University Hospital include neurology, neurosurgery, neuroradiology and imaging, neuro-oncology, ophthalmology, otolaryngology, orthopedic spine, physical medicine and rehabilitation, psychiatry, radiosurgery, as well as multidisciplinary programs that provide treatments for cerebrovascular disease, complex spine disorders, conditions affecting the cranial base, epilepsy, multiple sclerosis, and Parkinson’s disease. UT Southwestern’s Texas Institute for Brain Injury and Repair (TIBIR) applies a comprehensive and transformative approach to prevention and treatment of brain injuries that has been designed to accelerate progress in the understanding and treatment of mild, moderate, and severe brain injuries through high-impact preclinical and clinical research. The Institute is a component of the Harold and Annette Simmons Comprehensive Center for Research and Treatment in Brain and Neurological Disorders.